A new food stand, offering sandwiches and more, has made its debut in the neighborhood. Called Big Mozz, the fresh addition is located at 75 Ninth Ave., Chelsea Market in Chelsea. On the menu, you'll find a selection of comfort food items like mozzarella sticks, Cuban sandwiches, garlic fries and more. Also located at Yankee Stadium, Citi Field and Madison Square Garden, this food stand makes its own mozzarella. With a five-star rating out of five reviews on Yelp so far, the fresh arrival is on its way to developing a local fan base. 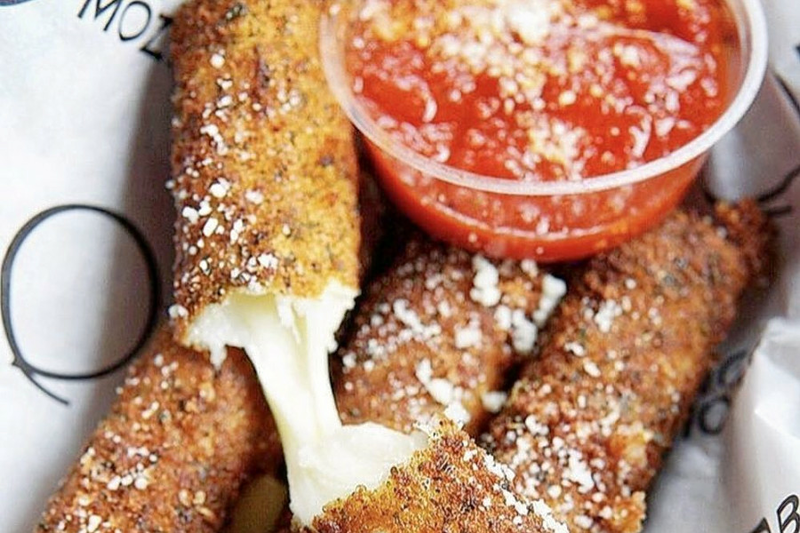 Yelper Emma J. noted, "I finally got to try the glorious mozzarella sticks that seem to follow me around on Instagram. They were the best I've had in my life." And Malique S. wrote, "This place has the best mozzarella I've ever had in my life. The place is incredible! I recommend the sticks of course, but if you're really about your cheese, go for the Mozz Bomb. " Intrigued? Stop in to try it for yourself. Big Mozz is open from 11 a.m.-9 p.m. daily.